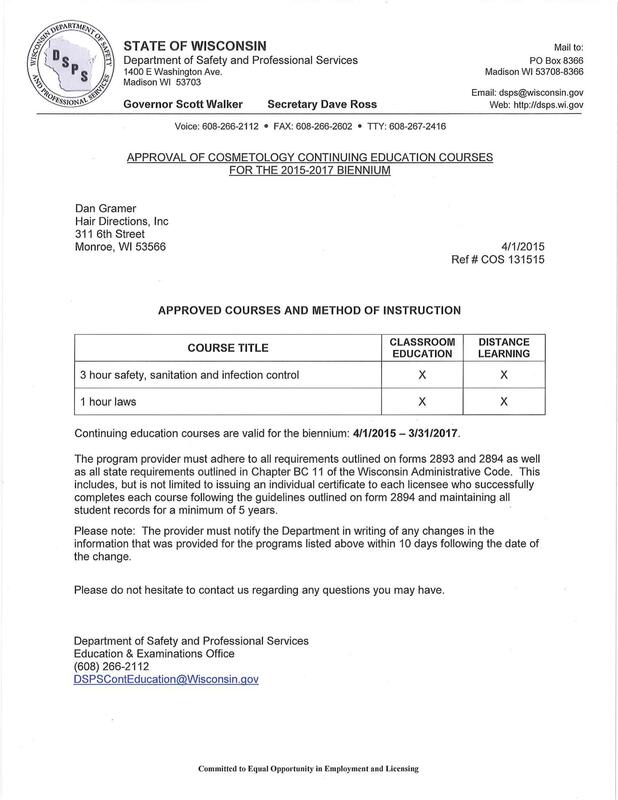 HairDirections has been approved by the Wisconsin Department of Safety and Professional Services (DSPS, formerly called DRL) to provide CE that fulfills the new license renewal requirements for Wisconsin cosmetologists, cosmetology managers, manicurists, estheticians, and electrologists (3 hours on safety, sanitation, and infection control and 1 hour on laws). All of the following class types are specifically included in this approval: Online, Training Events, and In-Salon Classes. A copy of HairDirections official approval letter is provided below on this page. 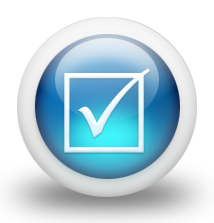 Click here to see a list of approved Wisconsin Cosmetology CE Classes.